click here to listen to a DEMO. 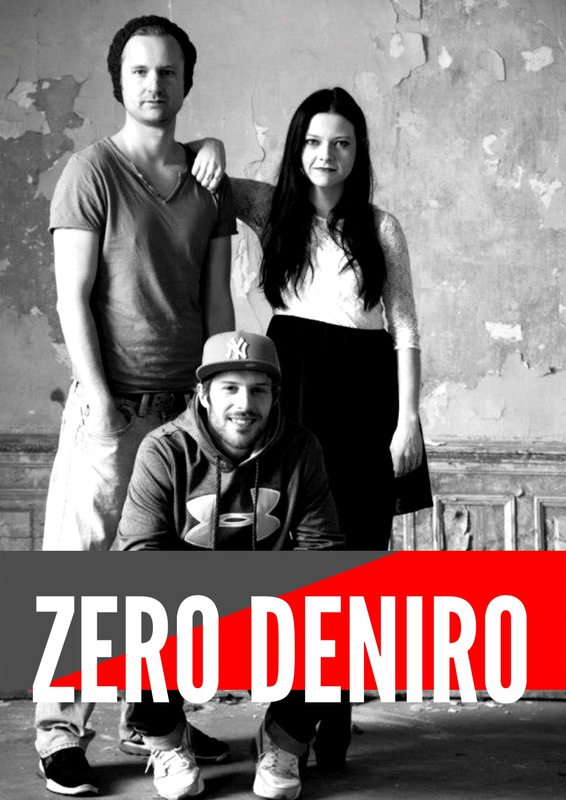 ZERO DENIRO was founded in 2013. It’s Karin Zemljič on vocals, Thomas Käfel on drums, Chris Laber on bass and Marko Črnčec on keys. They share a love for all sorts of music, but R&B, jazz and hip hop in particular. The project is a work in progress, not only because it has just started, but because it is an unpredictable musical journey that is undergoing change and progress with every note played. Lean back and enjoy the ride! Karin Zemljič was born and raised in Maribor, where she received her first musical training on the guitar. Later she started to take singing lessons with the famous Slovenian singer Dada Kladenik .At the moment she is studying at the jazz department of the ‘Kärntner Landeskonservatorium’ (Conservatory of Music Carinthia) with Caroline De Rooij. Projects she is a part of: Tribute to Stevie Wonder, T2MJ, Amy Winehouse Tribute, Feel the Phil, Studio Vokal Kärnten: 4rt’lstund’n, Okustični and several jazz and pop groups. Chris Laber was born in Graz, where he got his first musical training as a drummer and later switched to bass. He enjoyed lessons with Helmut Schönleitner, Andreas Kober, Christian Seiner, Christian Heidenbauer und Wolfram Abt. Chris attended a course in popular music at the J.J. Fux Conservatory in Graz in 2009. Since 2010 he has been a student at the Anton Bruckner University in Linz. He is busy as a session/studio musician, teacher and he is part of several bands and projects. Marko Crncec was born on May, 15th 1986 in Maribor, Slovenia. He started his music education with accordion on primary music school at the age of 7, then started to play piano at the age of 10. Then he studied classical piano on Music Gymnasium in Maribor. But despite of really love playing classical music he anyway decided to continue his study in jazz music on the University of Music and Dramatic Arts in Graz, on which he graduated in 2009. He had the opportunity to study with different artists, like Olaf Polziehn, Renato Chicco, Emil Spanyi, Ron McClure, Jarmo Savolainen,.. He is now working as a multiinstrumentalist, composer, arranger and producer in a various musical settings, mostly in jazz and pop music.